You'll find West Roseville real estate includes many newer areas of Roseville like Sierra Vista, Solaire and WestPark, just to name a few. The area is perfect for families who are looking for a newer home that's still close to Roseville proper and Sacramento, which is about a 35-minute drive. West Roseville real estate is close to many outstanding parks, shopping, excellent schools and phenomenal golf courses, so it offers everything a growing family could want in one area. Check out West Roseville real estate listings below or discover more learn more about the area and amenities that make this such a great place to live in Placer County. 283 Properties Found. Page 1 of 48. If you're looking into West Roseville homes for sale, you'll quickly discover the area was made for families. There's a Raley's in the area for groceries, plus several restaurants and fast food outlets including Subway which are perfect for the busy family on those nights when cooking isn't an option. Another bonus are the great schools in West Roseville, including Quail Glen Elementary, Blue Oaks Elementary, Junction Elementary, Cooley Middle School and Woodcreek High School, which enjoys one of the highest ratings in the Sacramento area. 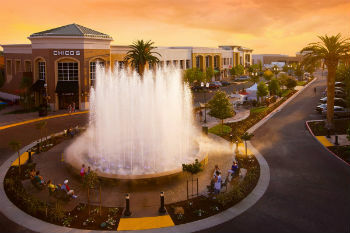 Explore West Roseville new homes and take note of the amazing recreational amenities. If you're into golf, there are a couple of amazing clubs to choose from. Timber Creek is one of the Sacramento area's highest rated golf courses and is open to the public. In 1998 an extra 9-holes - Sierra Pines - were added. Timber Creek and Sierra Pines Golf Courses are owned and managed by the Sun City Roseville Community Association. Association members are entitled to premier golf privileges. There are also plenty of parks to help residents get out and enjoy the great outdoors. Bear Dog Park, which includes an off-leash area for walking dogs. Also check out Mahany Park, and Fred Festersen Park at Westpark. If you'd like more information about West Roseville real estate, please don't hesitate to contact us any time. You can also call Rick Delgado directly at (916) 226-1136.